It is commonly said: "Nema ljetovanje bez Mljetovanje". It's croatian and means "There is no summer without Mljet". This saying originated in the fact that if you have been to the island of Mljet just once you will be returning every summer! founded in 1934 as a hotel. It's founding represents the very beginning of tourism on the island of Mljet. Soon after the hotel was built it became popular with people from all over the world - the people who wanted to relax in pure and unspoiled nature. This has not changed. experince here. Apartmani jezero also have two private beaches just outside your doorstep which gives you the freedom to enjoy the fantastic bathing waters at your terms and the possibility to enjoy a traditional dalmatian meal with freshly caught fish and lobsters afterwards. Apartmani Jezero is situated in the middle of the national park on the island of Mljet by the shore of the big lake called "Veliko Jezero". The two lakes on the island is connected by a small channel to each other and by a greater channel to the ocean. This large channel is guarded securing the lakes from big fish and pollution from the open sea. The crystal clear water is perfect for bathing and swimming and you can do both without having to fear anything because all motor boating is prohibited in the national park. The water temperature in the lakes are known to reach 30⁰C at it's highest in the smaller lake and 27⁰C in the big lake. Take a break from your busy life and come and relax at one of the most relaxing and pure of all places on earth. Fill up your batteries and let your body soak in the warm and soothing salt water of the two lakes just outside our doorstep. 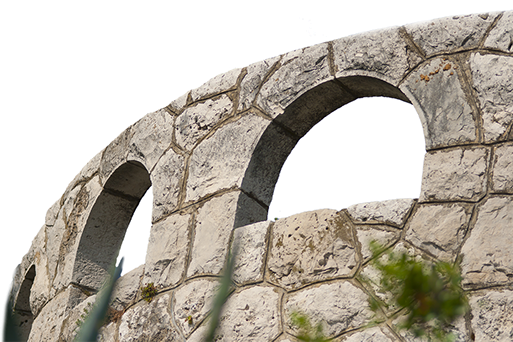 Let us take care of you while you experience what Mljet has to offer. Beautiful accommodations to stay in while you enjoy the serenity of Mljet. Our accommodations are newly renovated and we will provide you the comfort you need to enjoy the beauty that the island of Mljet holds. The hotel was founded in 1934, then it changed its name to "Pension Jezero" and recently to Apartmani Jezero. We have a proud tradition of making our guests as comfortable as possible also proven by the return of our guests year after year. Extraordinary traditionally cooked meals made with freshly caught fish from Mljet. The only private beaches in the national park of Mljet only available for guests at Apartmani Jezero. No less than 10m to the "Apartmani Jezero’s" beach in the big lake (Veliko jezero), and no less than 100m to the beach in the small lake (Malo jezero) with water temperatures close to 30°C (in the season). Enjoy the nature on the island of Mljet by going on a hike! Rent a furry car and go explore more of the 40 km long island! Explore the different lagoons and beaches along the lakes or at open sea! Rent a bike or a canoe and explore the lands and lakes! Explore the caves on the island of Mljet! Visit the town of Pomena by foot (only 30 min away)! Go diving and explore the rich but peaceful life under the sea!